Performance and Interculturalism Now: New Directions? A Symposium at NUI Galway, April 10-11, 2015. NUI Galway, April 10-11, 2015. Interculturalism has long been one of the most vigorously debated theoretical keywords in the field of theatre and performance studies. Intercultural performance depends on the hybrid mixture of performance forms from different cultures (typically East and West), but in whose interest, to whose ends and on what terms? Is intercultural performance a utopic ideal or coercive construct as it has most stereotypically been associated with ‘Western’ appropriations of ‘Eastern’ forms? Is it irreparably weighted down by histories of colonialism, cultural imperialism, and structural inequality that have often set its production conditions? Or can conscious and politically engaged work by artists/activists exceed and/or transform this history without negating the power of its living memory by manipulating the ideals and flows of intercultural performance in new ways? “Performance and Interculturalism Now: New Directions?” brings together international leaders in the field to respond to a recent resurgence of critical activity around this term that has multiplied rather than limited its contemporary resonances. This symposium will explore historical approaches to intercultural performance, Asian and other oppositional models of interculturalism that challenge (and/or reify) Western hegemonies, the use of interculturalism within migrant performance cultures, and interculturalism as aesthetic practice and social policy in the European Union and Canada among other themes. Why return to interculturalism and what can it mean for how we study performance now? The transformative impact of inward migration on Irish Theatre is documented in a newly published book Staging Intercultural Ireland: New Plays and Practitioner Perspectives. The collection contains essays on eight plays, and six interviews with migrant and Irish-born theatre artists who are producing work at the intersection of interculturalism and inward-migration in Ireland during the first decades of the 21st Century. The book is edited by Charlotte McIvor, a Lecturer in Drama at NUI Galway, and Matthew Spangler, an Associate Professor of Performance Studies at San José State University in California and published by UCC Press. 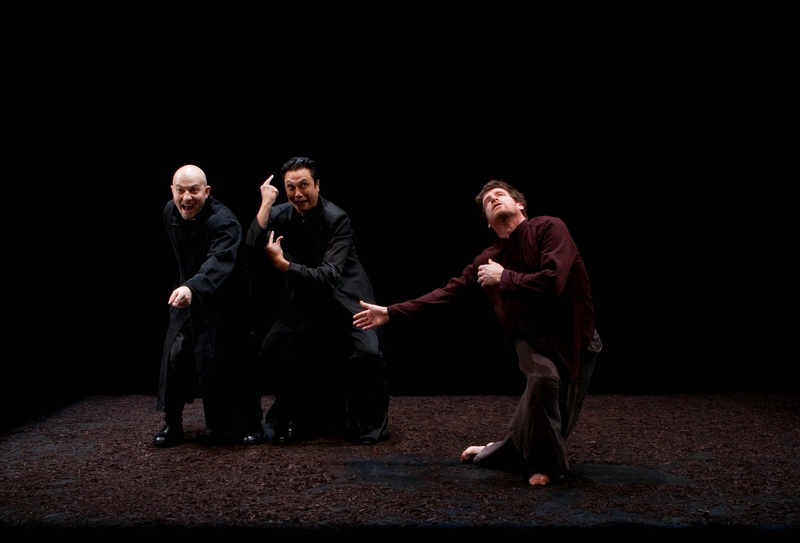 When inward migration numbers began to climb in the early and mid-1990s, Irish-born and immigrant theatre artists started producing theatrical work that addressed these profound cultural and demographic shifts. Their performances have been produced at venues ranging from the Abbey Theatre to mid-sized theatre companies to community centres and even refugee accommodation centres. The plays collected in the new book have been selected due to their critical impact within the field of Irish theatre and the various forms of cultural, political, and social conflict and accommodation they register. The plays in question include Donal O’Kelly’s The Cambria (2005), which dramatises African–American abolitionist Frederick Douglass’ journey to seek refuge in Ireland in 1845; Rosaleen McDonagh’s Rings (2012), a play about the widespread discrimination experienced by people with disabilities and members of the Traveller community in Ireland; Charlie O’Neill’s Hurl (2003), which depicts immigrants excelling in Ireland’s most iconic sport while grappling with their broader lack of acceptance; Nicole McCartney’s Cave Dwellers (2002), a play that draws on Beckett in its portrayal of refugees waiting for someone to guide them; Ursula Rani Sarma’s Orpheus Road (2003), which explores the challenges of growing up during the Troubles in Northern Ireland through the metaphor of cross-cultural romance; Bisi Adigun’s Once Upon a Time & Not So Long Ago (2006), which dramatizes the intercultural encounters of west Africans in Ireland; and Paul Meade’s Mushroom (2007), a play that is based on the experiences of undocumented migrants working in highly exploitative conditions. According to Charlotte McIvor, “Ireland is unique in that it is one of a small group of nations to have such a close and powerfully charged relationship between the theatre and debates of national and cultural identity. The theatre in Ireland offers something of a looking-glass through which changing culture might be viewed, though as we have argued, the plays collected here do more than simply reﬂect an extra-theatrical reality; they are also themselves active agents of cultural change”. The book offers a contribution to transnational migration studies, as well as intercultural theatre research in a global context. It is especially fitting that it has been written by faculty in NUI Galway, which is at the heart of the nation’s most diverse city. 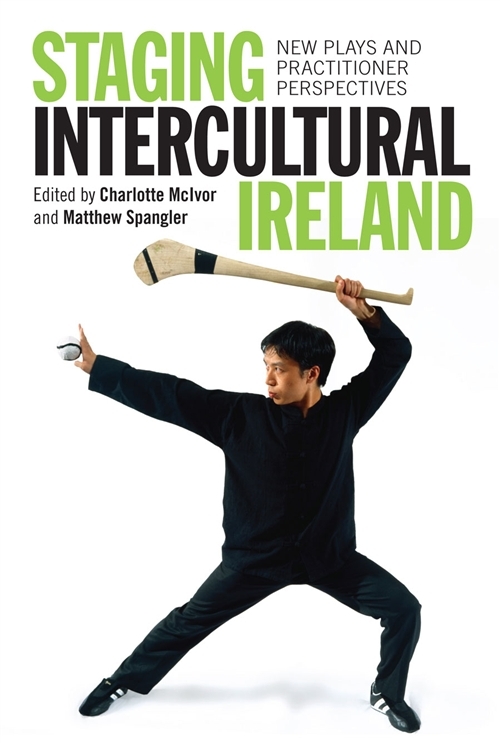 Not only is Charlotte McIvor the author of Staging Intercultural Ireland, she has also been awarded a major Irish Research Council grant to study “Interculturalism, Migration, and Performance in Contemporary Ireland”. Dr. Jason King has also come to the Moore Institute on a postdoctoral fellowship to work with her in developing this project. They will be bringing the most distinguished scholars in the field to NUI Galway for a ground-breaking conference on “Interculturalism and Performance Now: New Directions?” (April 10-11, 2015), hosting the GUIDE (Galway University Integration through Drama and Education) Symposium for educators and theatre practitioners who work with migrant students (January 31, 2015), holding theatre workshops for migrant students in local schools, developing an outreach program with community partners, and publishing more cutting edge research to follow Staging Intercultural Ireland.